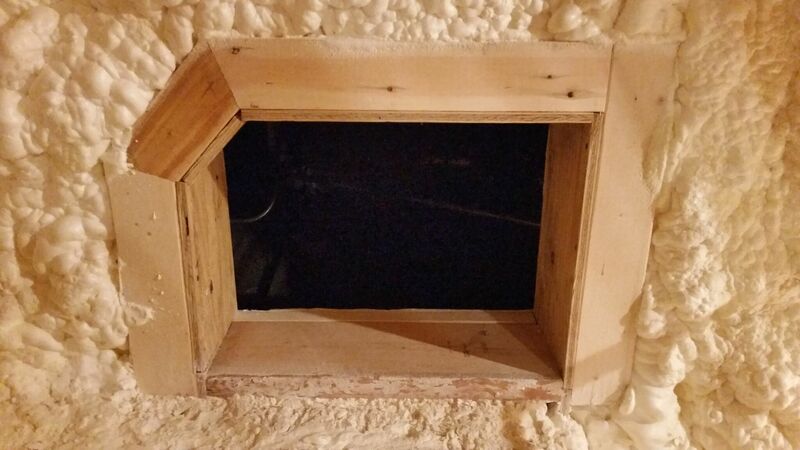 Spray foam insulation is a great choice for many Ashland, WI area homeowners for several reasons. It provides superior insulation without extra bulk and also seals surfaces from air infiltration. Air sealing the small leaks and openings that allow outside air into your home is an important step to ensure your insulation performs as it should. 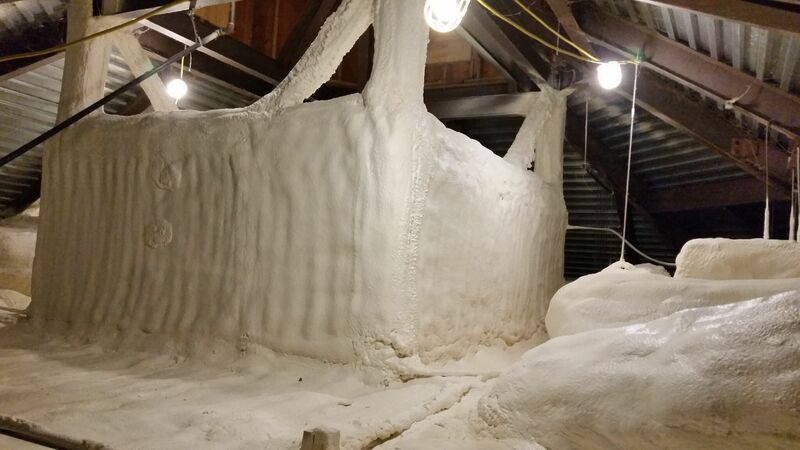 KV Tech Construction uses Icynene® spray foam insulation in both open- and closed-cell forms. Both offer excellent insulation and air sealing qualities, but are used in different applications. As with any specialized product, it’s important to ensure the installation is completed by trained and certified professionals. Spray foam installation requires specialized training for effective installation. Because spray foam is difficult to remove once it hardens, it’s important to have the right training. KV Tech Construction has certified and trained Icynene® installers on our insulation team. 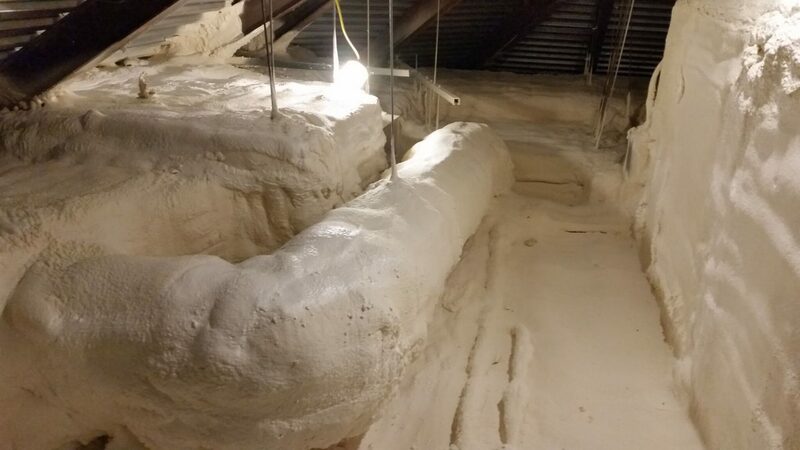 They’ll ensure that your spray foam insulation is applied evenly to meet the specified R-value, so your new insulation performs the way it should. As a Trade Ally for Focus on Energy, KV Tech Construction can identify possible instant rebates for improving your home’s energy efficiency with insulation. Additionally, if you’re an Xcel Energy customer for electricity or natural gas, you may qualify for a matching rebate equal to 80% of any Focus on Energy rebate your insulation upgrade qualifies for. These great rebates are why improving your home’s comfort is really an easy decision to make! 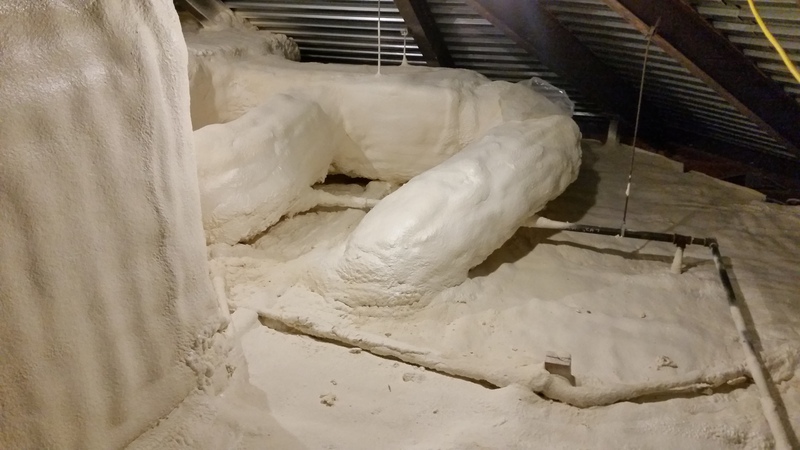 Are you ready to save energy by adding spray foam insulation? Call (715) 765-4483 or contact us for an appointment. Boost home comfort with insulation. I went to pay my Propane bill, turns out I had a credit, not a bill. Having you do my weatherization paid off, that and the mild Winter. Thanks again! Happy Customer!!! !